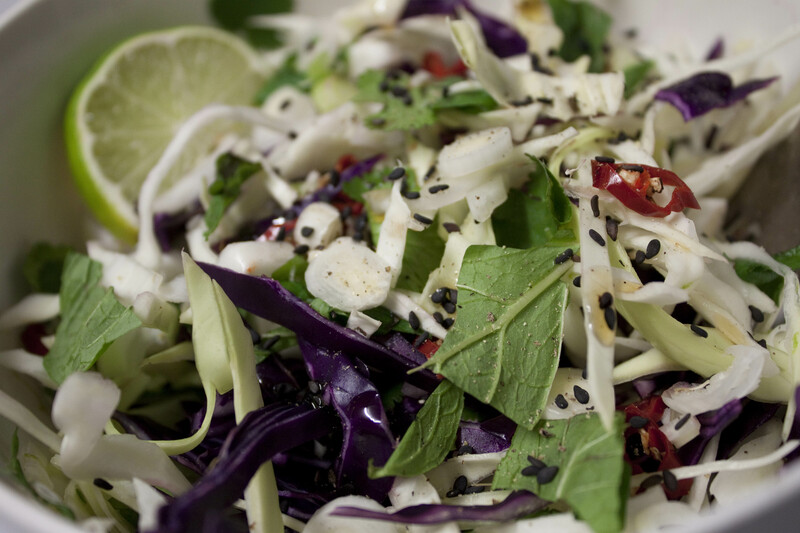 This is not your normal cabbage/coleslaw salad (so leave those cabbage-hating preconceptions at the door!)! This salad is spicy, zesty, herby and really yummy! Serves: Two as a side dish or one very hungry health food lover! Slice and chop all ingredients where indicated. Add the ingredients to a bowl. Sprikle with the black sesame seeds, salt & pepper. Mix the dressing and pour over the salad. Serve with a protein source of your choice. 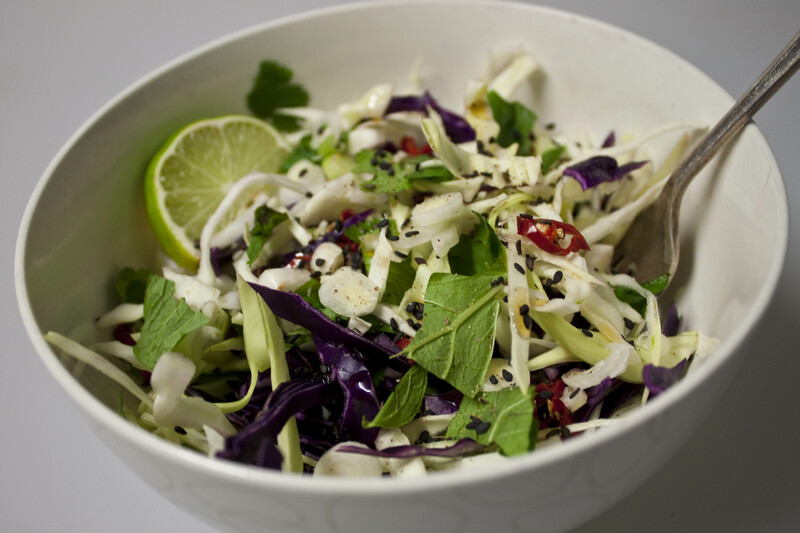 For more cabbage recipes have a look at the recipe index. © Copyright: 2011 Michelle Robson-Garth. Please ask permission first when using any text or images on healthfoodlover.com . See the disclaimer here.